Good news! 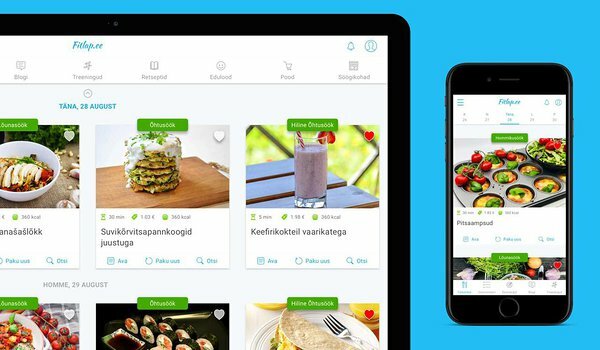 Our design project for Fitlap, a healthy meal planner, has been shortlisted in the Golden Egg competition in e-services and applications design category. Fitlap needed a redesign as it's portal had many usability problems and the visual part was outdated also. In addition, Fitlap required an app to provide the best user experience on mobile. To reinvent Fitlap we needed to understand the users and their behaviour. This is why we started with interviewing the users and exploring the metrics using one of the best tools in the industry, Google Analytics and Hotjar. After validating existing problems, we started crafting a new design. To get all important bits and pieces in place we took on UX wireframing followed by creating UI mockups. Involving users in the UX/UI design process was very important as we got constant feedback by usability testing prototypes with existing and new Fitlap users. In the development phase, before going live, we conducted alpha and beta testing, analysing vital KPIs, surveying and interviewing users. We polished the product in every development phase to meet the business and user goals. Thanks to our work a solution that users love was born and Fitlap's revenue is growing strong. UX Estonia turned 6 years old! Join our Facebook community to stay up to date with the latest user experience news and trends!